Choose gold or silver for your dog tag. After that, take a photo in front of our burgundy backdrop. (Up to two people). 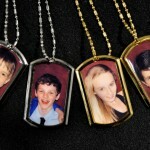 The photo is then put into your dog tag and a glue is put on and dried within seconds to add a nice glossy feel to it. 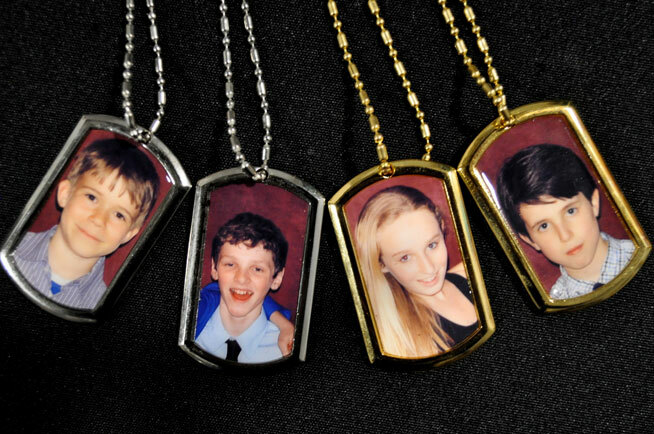 Choose gold or silver for your dog tag. After that, take a photo in front of our burgundy backdrop. (Up to two people). 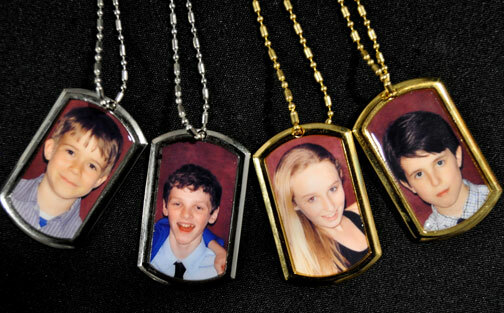 The photo is then put into your dog tag and special glue is put on and dried within seconds to add a nice glossy feel to it. This can be a package of its own or be combined with another photo package.